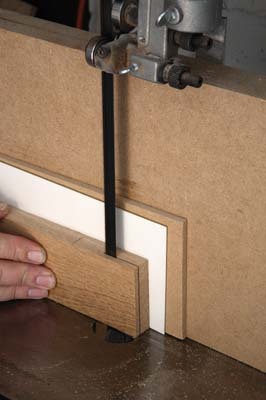 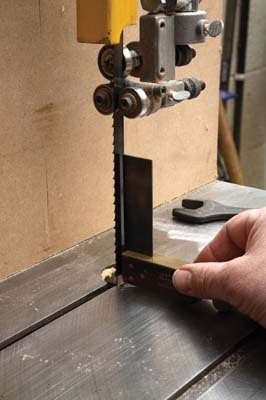 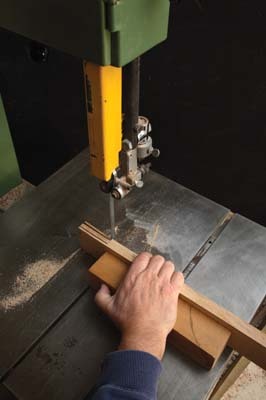 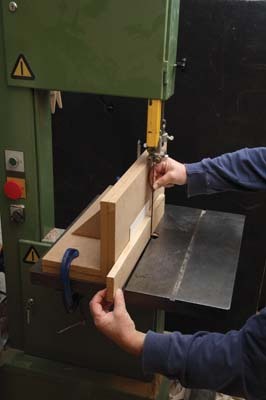 The slip joint is a wide, flat, machine-cut joint, easily repeated for small batch jobs such as the corners of cabinet frames. 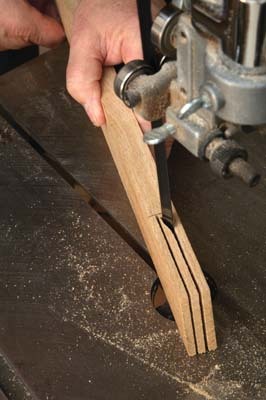 On the face of it, the slip joint has the same basic geometry as a traditional bridle joint, but it is made in a very different way. 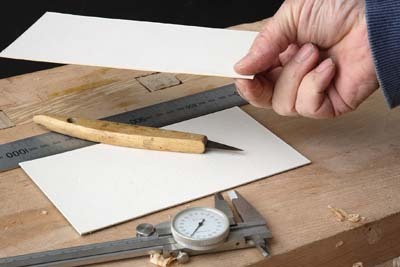 Its wide, thin proportions give it a massive gluing area. 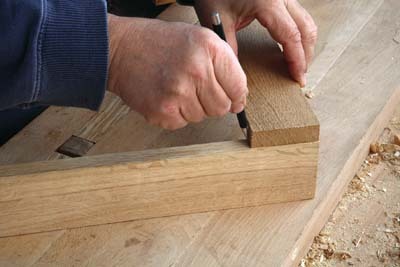 Slip joints were much used by the late James Krenov - one of the great cabinetmakers of recent times. 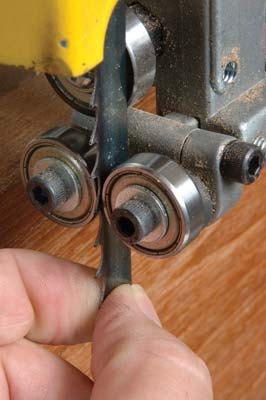 With the aid of a bandsaw and after a bit of preparation time, you will be able to make a series of identical well-fitted slip joints, each one taking just a few minutes to cut. 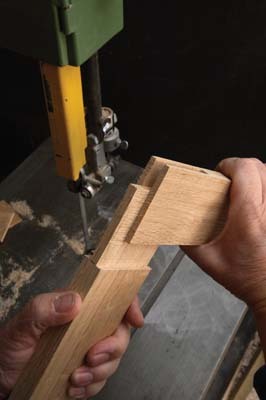 Once one joint fits well, the rest follow automatically. 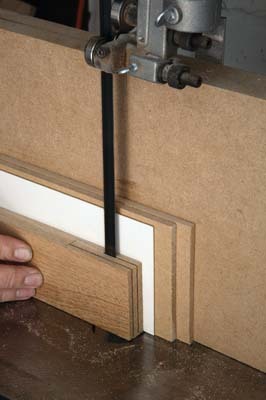 The slip joint's main use is for the corners of low profile frames. 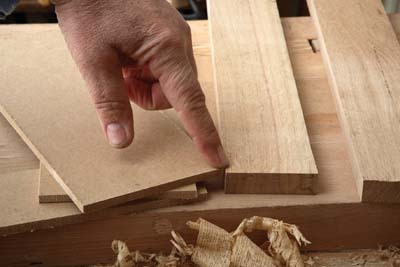 Frames need good stable wood that will not twist or bow when moisture level changes. 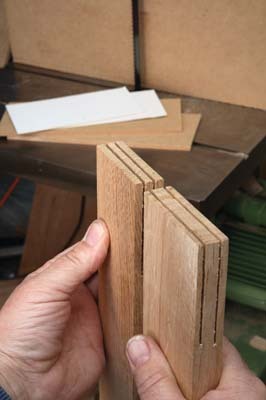 In this example, I used straight-grained oak. 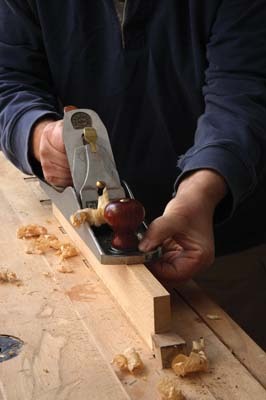 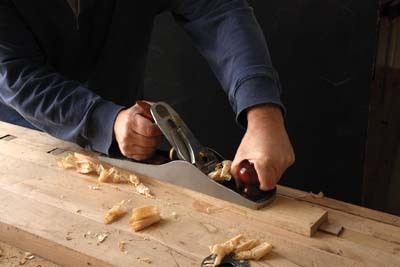 You might prepare your wood with hand tools or machines but if you use an electric planing machine, it's best to finish with a hand plane afterwards. 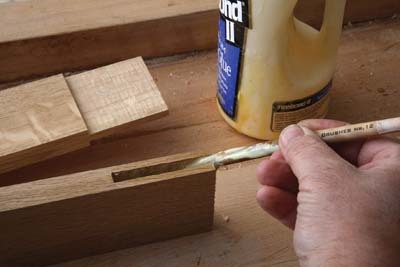 Work with the grain to remove any surface ripples. 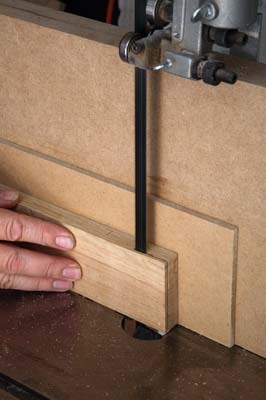 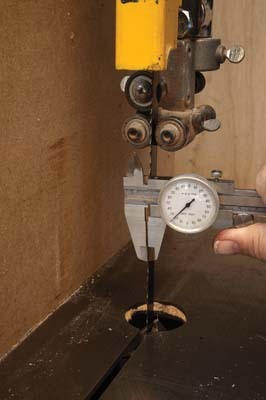 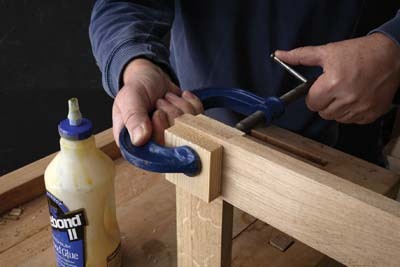 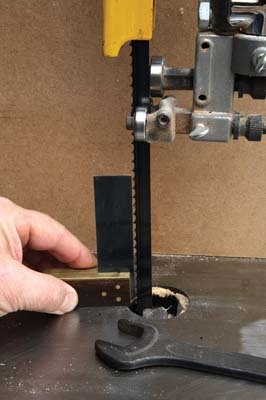 Be prepared to experiment at first - the secret of making well-fitted slip joints is in the thickness of the shims. 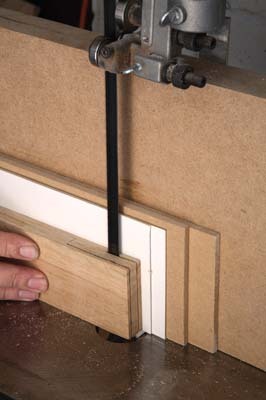 Once the shims are correct, keep them safe and all the slip joints you make after that will fit equally well.